← Antifascist Action T-Shirts Are Here! Now, Brace is solidifying his reputation as defender of racist scum by representing a violent Neo-Nazi. It is unacceptable that Brace is accepting the money of Neo-Nazis and White Nationalists in exchange for defending a known white supremacist, especially one who has attacked anti-racist protesters and sent them to the hospital. These actions cannot go unopposed. Help us spread the word about Brace, who he is funded by, and the kinds of people he likes to defend- you can leave reviews of Danny Brace and Brace Law on Yelp, Google, and Yellow Pages. 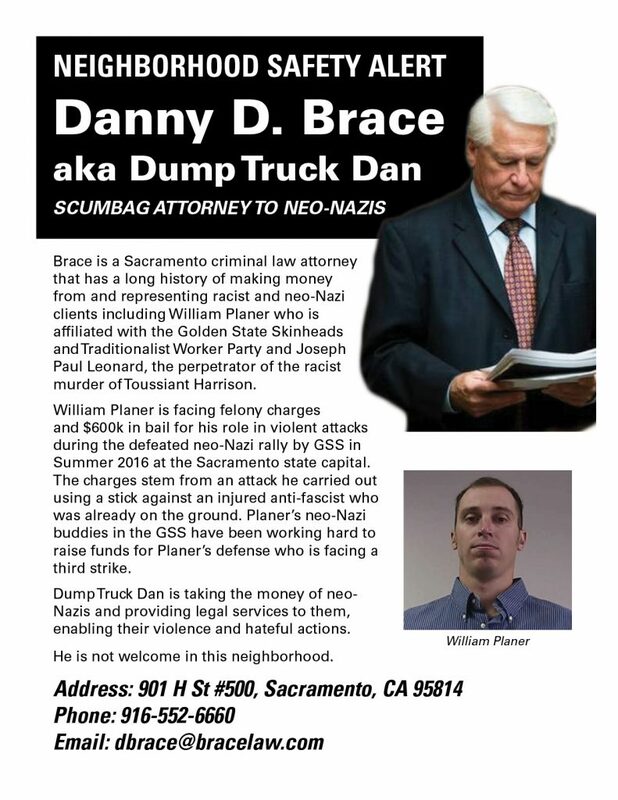 His law firm is located at 901 H St, suite 500, Sacramento CA, 95814, the office phone number is (916) 447-0592, and Danny Brace’s email is dbrace@bracelaw.com. 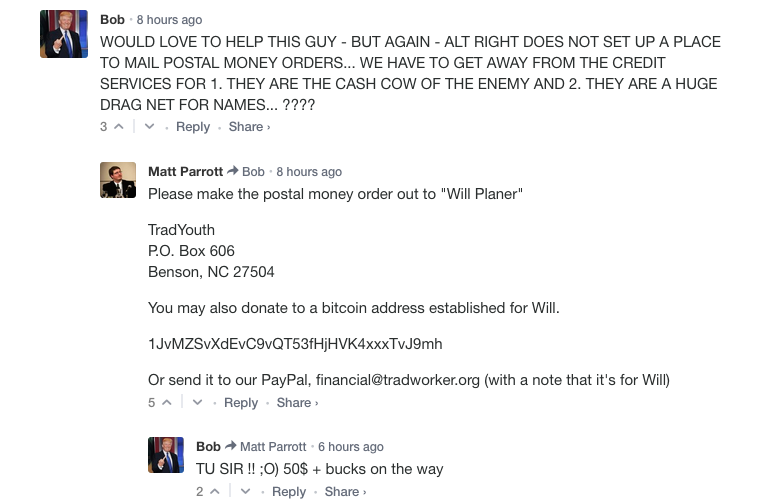 Feel free to get in touch with him and let him know how you feel about him accepting the money of white supremacists and defending a violent Neo-Nazi. This entry was posted in Exposés and tagged campaign, expose, Golden State Skinheads, June 26th 2016. Bookmark the permalink.